June 2018 - Perry Hood Properties, Inc. The Oklahoma Summer is finally here and it’s not messing around this year. With triple digit temps in the forecast, homeowners need to be smart if they hope to avoid skyrocketing electric bills. Thankfully, there are a few simple steps any homeowner can take to reign in the cost of utilities. For optimal performance from your AC unit, air filters need to be changed every three months. When filters go unchanged, they get clogged up, which makes it harder for the AC unit to get the air it needs. If you’re especially forgetful and want an easy way to remember to change the filters, sign up for Filter Easy. They ship you new filters every three months, so you’ll never forget! There’s no sense (or cents) in paying for the AC to run when you’re not home. By programming the thermostat to kick off when you leave for work, you can save a surprising amount. These thermostats can also be programmed to turn back on before you come home so your home is just as comfortable as when you left. Appliances like dishwashers and dryers create heat when they run. 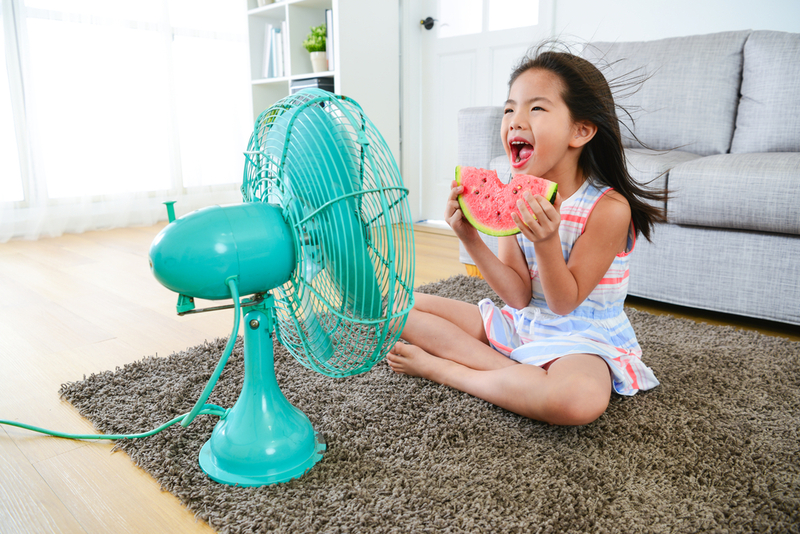 To avoid adding this heat to the equation during peak hours, try running the appliances at night when it’s cooler outside. This will help your AC unit not work so hard during times when electricity is in high demand. Shade from the sun can make it feel 10-15 degrees cooler. While you don’t want too many big trees close to your home, having a few trees to cast shade on your home can greatly reduce the need for air conditioning. One of the first decisions house hunters normally make is whether to buy a pre-owned existing home or build a new home from scratch. According to Trulia, the majority of house hunters prefer new construction homes to pre-owned homes. This preference makes sense, because there are several key benefits to buying a new construction home. There’s no wear and tear on a new construction home, which means homeowners can spend their weekends playing with the kids instead of scraping popcorn ceiling texture. There will likely be small imperfections that come along as the home settles, but these should be covered by the builder’s warranty. One of the biggest benefits of buying a new construction home is getting to pick and choose all the options that go into a home. 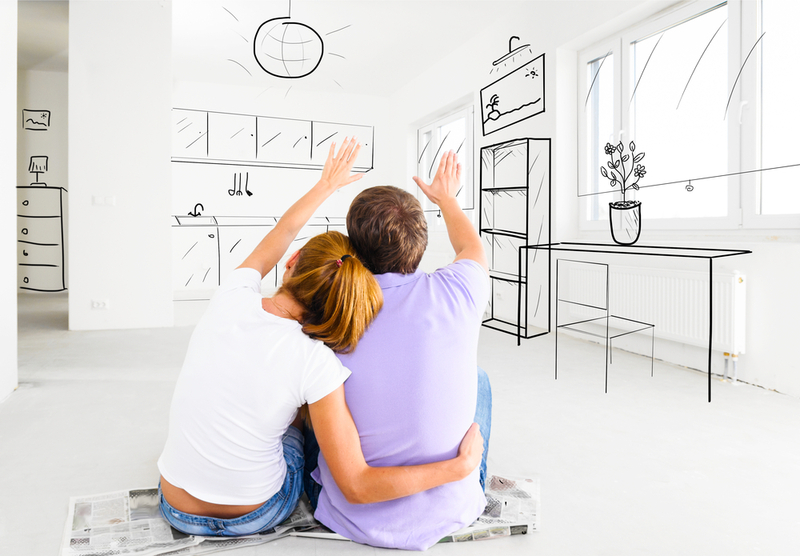 This includes the flooring, paint colors, cabinets, countertops, floorplan, and light fixtures. All these little details can be handpicked by the buyer to create the home they’ve always wanted. Because new construction homes are built with the latest and greatest techniques and materials, they are much more energy efficient than existing homes. Not only is this better for the environment, it will also save homeowners lots of money down the road in utility bills. Whether it’s refrigerators or washing machines, manufacturers are always coming out with new bells and whistles for appliances. Getting a new home is a great excuse to get the hottest appliance technology and enjoy all the benefits that come with it. If you’re looking for a new construction home in Tulsa, call Perry Hood Properties. We are one of the most experienced home builders in the Tulsa area and will do whatever it takes to build your dream home. When making a big purchase, like a home, it’s important to know all the facts. Home inspections will give you a pretty good idea of what kind of condition the home is in, but expecting to catch ever imperfection in just a few hours isn’t realistic. Homes are complex structures and you never know what might be hiding in walls, under the floors, or inside the pipes. These details are caught by living in the home for a few years. That’s why it’s standard practice for home sellers to document any known defects and inform buyers of these defects. This process is commonly called a real estate disclosure. The purpose of a disclosure statement is twofold. First, it’s an opportunity for the buyer to learn about any skeletons hiding in the closet. Secondly, it’s an opportunity for the seller to formally disclose any problems with the house and avoid lawsuits down the road. This serves as a big motivation for sellers to disclose as much as possible. Flaws and material defects should be at the top of the disclosure list. Things like leaky faucets, busted pipes, bad light fixtures, and things of that nature should be listed. This will allow the buyer to know how much additional money needs to be put into the home to get it up to par. 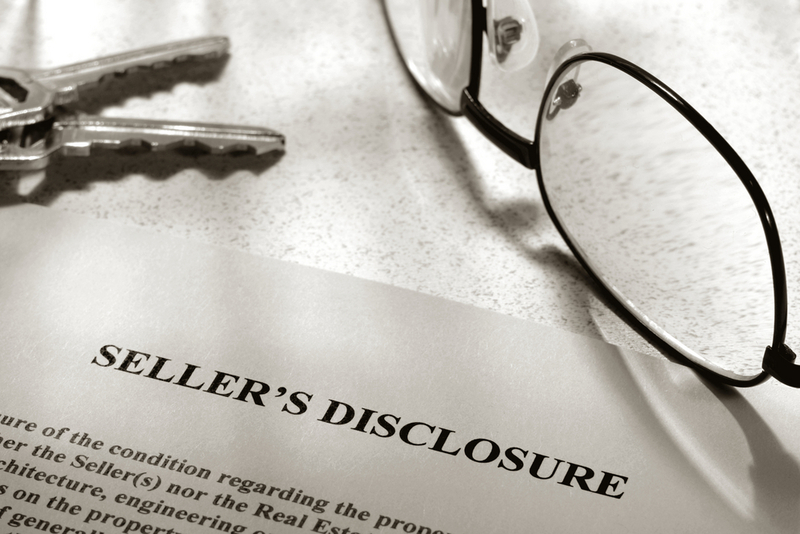 Broken stuff and shoddy work aren’t the only line items that go into a real estate disclosure. Sellers should also let the buyer know if anyone died in the home, especially if the death was caused by a defect in the home like a busted pool enclosure. Details about the surrounding neighborhood is another category sellers should include. Buyers have a right to know if neighbors are frequently noisy or if the city shuts down the nearby streets for a monthly parade. There are a few more details that can go into a real estate disclosure depending on state and local laws. The important rule of thumb to remember is that sellers should disclose anything that might affect the quality of life for people living in the home or anything that affects the value of the home. 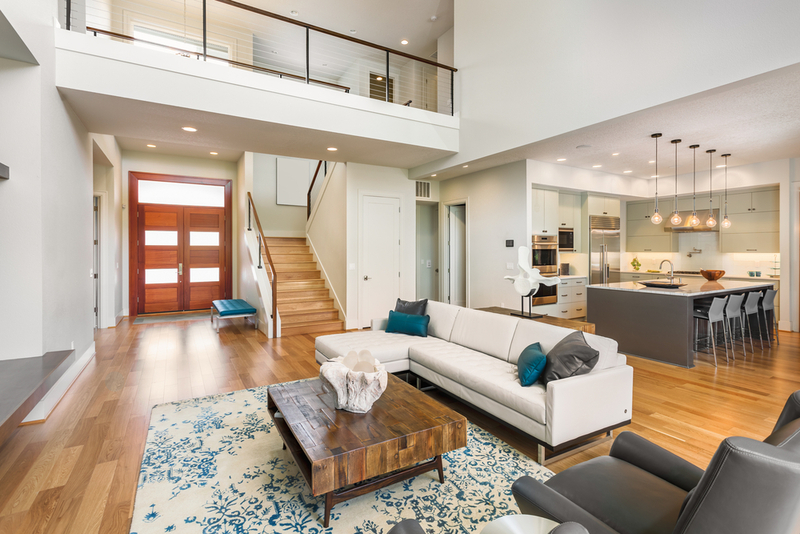 When it comes to filling your home with the right furniture pieces and decor, you need to be smart about where you make your biggest investments. You can spend tons of money on just about anything in a home. Some people have the audacity to sell a candle for almost $500! It’s important to allocate large sums of money on pieces that will have the biggest impact and last the longest. Possibly the MVP of your living room, the sofa is a piece you can design an entire home around. Sofas will also get more use than just about any other piece in the home, so it needs to be comfy, good looking, and durable. Sofa design preferences change pretty slow, which lets you invest with confidence knowing it won’t be out of style next week. Whether it’s a floor lamp, chandelier, or table lamp, working in one or two stand out light fixtures will really enhance the look of your home. The mood the light creates is just as important as the design of the fixture so don’t overlook the kind of light the fixture emits. For homebuyers with children, the school district a home resides in is almost as important as the price of the home itself. Parents want to ensure their kids get the best education possible and might even move just to get their kids into a better school district. 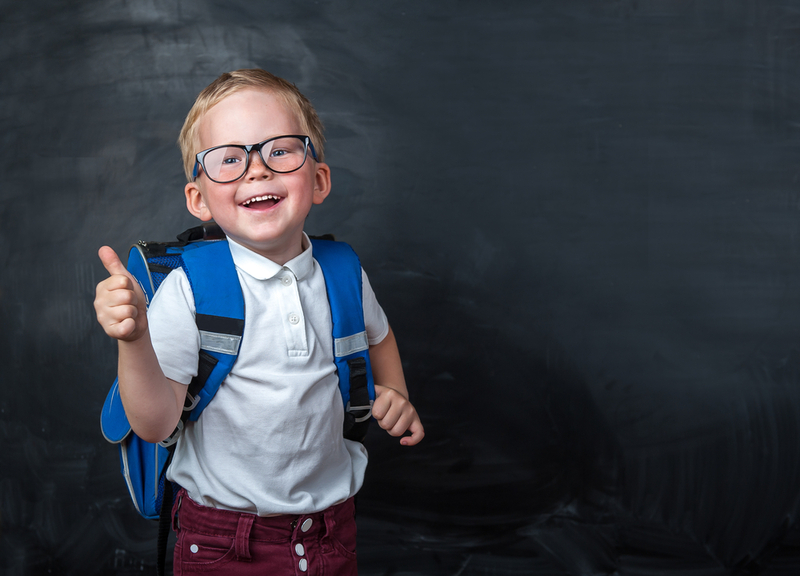 With such a high premium put on schools, here are a few tips homebuyers can use to find the right school district. Sites like School Grades offer parents insight into how well a school performs. It will show basic testing scores and may even show SAT and ACT success rates. Having these objective numbers is a great way to know how well a school will prepare a child for the real world. When parents are checking out schools they need to look at all the schools their child may attend while living in this home. If the elementary school is great, but the high school is terrible, this location may not be as good as it seems. Parents need to think long-term when assessing school quality. Looking at test scores and other numbers is great, but sometimes you need to see for yourself. Thankfully, most school board and PTA meetings are open to the public so you can pop in and see what the school is really like. This is also a great opportunity to talk with real parents about their experience with the school. Finding the right school is an important part of finding a new home. After all, kids will spend very formative years in the schools they go to. If you’re looking for a new construction home in top-notch school districts, call Perry Hood Properties. We have a wide selection of home sizes and options in some of the best school districts in the area.